John Holloway graduated with a B.Sc. in Biochemistry from Otago University, New Zealand in 1992. 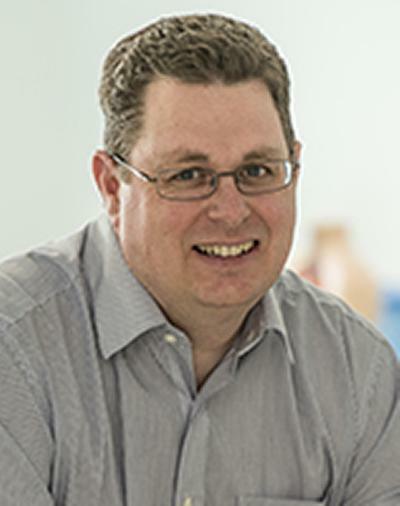 He undertook research based at both the University of Southampton and the Malaghan Institute (Wellington, New Zealand) into the genetic basis of asthma graduating with a Ph.D. from Otago University in 1997. In 1997 Professor Holloway returned to Southampton and together with Professor Stephen Holgate continued his research into the genetic basis of allergies and asthma. He now heads the Respiratory Genetics Group, based in the Human Development and Health School. The Respiratory Genetics Group undertakes a number of research projects into the early life origins of asthma and other allergic awn respiratory conditions with a particular focus on the interaction between the environment in early life and genetic and epigenetic factors in determining susceptibility. Much of the group's work builds on the unique Isle of Wight Birth Cohort led by Professor Hasan Arshad. Professor Holloway was appointed to a personal chair in the Faculty of Medicine in 2011. As well as his on-going research, he contributes to Molecular Cell Biology teaching as part of the Bachelor of Medicine program. He has held appointments on the Scientific Advisory boards of Asthma UK, and was member of Council for the British Society of Allergy and Clinical Immunology (2009-2012) and vice-chair of the COST:BM1201 Developmental Origins of Chronic Respiratory Disease network (2012-2016). He has published over 150 papers field of allergy and respiratory genomics. Professor Holloway’s interests are in the role of genetics and epigenetics in the developmental origins of allergy and respiratory disease. Disordered growth during early life has been shown to result in chronic diseases such as diabetes and coronary disease in later life. Environmental factors such as unbalanced nutrition before birth result in metabolic and structural adaptations that lead to persistent modifications to offspring phenotype, i.e. fetal programming. There is evidence that respiratory disease is also influenced by fetal programming. Asthma has been linked epidemiologically with markers of fetal growth such as anthropometric measurements at birth. Reduced fetal growth and duration of gestation are associated with impaired lung development in children. Airway function at birth is also a significant predictor of asthma, adult lung function, and possibly COPD. In collaboration with Dr Christopher Torrens we are investigating the effects of maternal under-nutrition on lung development in a maternal protein restriction model. We have shown that there are persistent alterations in gene and miRNA expression in response to maternal protein restriction demonstrating that in utero environmental exposures result in altered lung development and persistent phenotypic changes. It is believed that a genetic predisposition, along with exposure to environmental factors, alters the risk for asthma and atopy. Research over the previous decade has provided some insight into the role of specific DNA polymorphisms, however, little is known about the epigenome, which is considered to establish when and where the blueprint of the DNA is expressed. There are four major gaps in our understanding: (1) Do epigenetic modifications alter the risk for allergy and asthma? (2) Is the epigenome, in particular the methylation of CpG sites, vertically transmitted from parents to offspring? (3) What environmental factors impact epigenetic marks? (4) In which developmental periods (pregnancy, infancy, or both) are epigenetic marks established? Addressing these questions will critically impact the prevention and treatment of asthma and allergies. In partnership with Professor Wilfried Karmaus and Assoc. Professor Hongmei Zhang (University of Memphis), Professor Susan Ewart and Professor Linda Mansfield (Michigan State University) and Professor Hasan Arshad, we are attempting to answer these questions in the Isle of Wight longitudinal birth cohort by examining genome-wide DNA methylation in women of the cohort and recruiting their children as the second generation in this cohort. In collaboration with Professor Seif Shaheen (QMUL) we are undertaking a pilot study of genome wide DNA methylation in match samples of blood, buccal, nasal, and lung epithelial DNA in children with and without atopy. By examining the correlation of methylation patterns between these tissue sources, this should establish the validity of analysing methylation in DNA derived from these sources in large epidemiological cohorts in relation to asthma in the future. In collaboration with colleagues at the University of Bristol (Professor John Henderson), and Queen Mary’s University of London (Professor Seif Shaheen), we are studying how relevant gene polymorphisms in the mother and child modify effects of prenatal and postnatal exposure to tobacco smoke, paracetamol and antioxidants on childhood lung function, wheezing, asthma and bronchial hyper-responsiveness, in a large population-based birth cohort. Confirmation of interactions between oxidant/antioxidant exposures and gene variants which influence antioxidant function and xenobiotic toxicity would provide stronger evidence that the effects of the environmental risk factors are causal, and may provide insights into mechanisms. By increasing our understanding of the early life influences on lung development we hope to devise new strategies aimed at the primary prevention of lung disease in children and the optimisation of their respiratory health. This work has provided evidence that prenatal paracetamol (acetaminophen) exposure may predispose the developing infant to subsequent development of asthma through mechanisms dependent on oxidative stress (Shaheen et al. JACI 2010). We are now hoping to extend our studies of prenatal gene-environmental interactions in lung development by examining the effects of prenatal nutrition. Professor Holloway is Vice-chair (Chair Dr Susanne Kraus-Etschman, CPC Munich) of the BMBS COST Action network: Developmental origins of Chronic Lung Disease. Chronic lung diseases (CLD) are a major cause of death in the Western world but curative therapies do not exist. Recent studies indicate that the risk to develop CLD is modified by early exposures during critical developmental windows. This concept opens unique opportunities for the pre- or early postnatal modification of later disease risks, but the underlying molecular mechanisms are largely unexplored. To close this gap, a highly cross-disciplinary approach involving scientists from basic and clinical research is required. Several European institutions study early origins of CLD with adequate national funding, but these efforts are not integrated and lack a comprehensive platform for synergistic collaboration. This COST Action will allow the creation of a coordinated and highly translational research program. This will bring forward a novel understanding of CLD pathogenesis and build the prerequisites for the successful development of early interventions and/or innovative therapies. Mukherjee, N., Lockett, G. A., Merid, S. K., Melén, E., Pershagen, G., Holloway, J., ... Karmaus, W. (2016). DNA methylation and genetic polymorphisms of the Leptin gene interact to influence lung function outcomes and asthma at 18 years of age. International Journal of Molecular Epidemiology and Genetics, 7(1), 1-17. Dizier, M. H., Nadif, R., Margaritte-Jeannin, P., Barton, S. J., Sarnowski, C., Gagne-Ouellet, V., ... Demanais, F. (Accepted/In press). Interaction between DNAH9 gene and early smoke exposure on bronchial hyper-responsiveness. European Respiratory Journal, 1-26. Yousefi, M., Karmaus, W., Zhang, H., Ewart, S., Arshad, H., & Holloway, J. W. (2013). The methylation of the LEPR/LEPROT genotype at the promoter and body regions influence concentrations of leptin in girls and BMI at age 18 years if their mother smoked during pregnancy. International Journal of Molecular Epidemiology and Genetics, 4(2), 86-100. Konstantinidis, A. K., Puddicombe, S. M., Mochizuki, A., Sheth, P. D., Yang, I. A., Yoshisue, H., ... Holloway, J. W. (2008). Cellular localization of interleukin 13 receptor alpha2 in human primary bronchial epithelial cells and fibroblasts. Journal of Investigational Allergology and Clinical Immunology, 18(3), 174-180. Yang, I. A., Savarimuthu, S., Kim, S. T., Holloway, J. W., Bell, S. C., & Fong, K. M. (2007). Gene-environmental interaction in asthma. Current Opinion in Allergy and Clinical Immunology, 7(1), 75-82. Holloway, J. W., & Koppelman, G. H. (2007). Identifying novel genes contributing to asthma pathogenesis: mechanisms of allergy and adult asthma. Current Opinion in Allergy and Clinical Immunology, 7(1), 69-74. Andrews, A-L., Holloway, J. W., Holgate, S. T., & Davies, D. E. (2006). IL-4 receptor ? is an important modulator of IL-4 and IL-13 receptor binding: implications for the development of therapeutic targets. Journal of Immunology, 176(12), 7456-7461. Yang, I. A., Fong, K. M., Holgate, S. T., & Holloway, J. W. (2006). The role of Toll-like receptors and related receptors of the innate immune system in asthma. Current Opinion in Allergy and Clinical Immunology, 6(1), 23-28. Holgate, S. T., & Holloway, J. W. (2005). Is big beautiful? The continuing story of ADAM33 and asthma. Thorax, 60(4), 263-264. Kim, S. H., Choi, J. H., Holloway, J. W., Suh, C. H., Nahm, D. H., Ha, E. H., ... Park, H. S. (2005). Leukotriene-related gene polymorphisms in patients with aspirin-intolerant urticaria and aspirin-intolerant asthma: differing contributions of ALOX5 polymorphism in Korean population. Journal of Korean Medical Science, 20(6), 926-931. Holloway, J. W., Yang, I. A., & Ye, S. (2005). 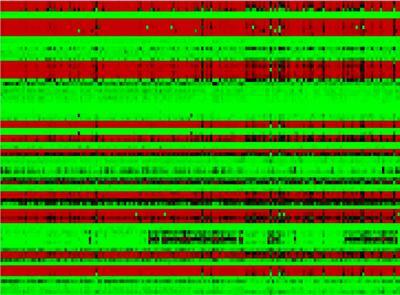 Variation in the toll-like receptor 4 gene and susceptibility to myocardial infarction. Pharmacogenetics and Genomics, 15(1), 15-21. Holgate, S. T., Davies, D. E., Rorke, S., Cakebread, J., Murphy, G., Powell, R. M., & Holloway, J. W. (2004). ADAM 33 and its association with airway remodeling and hyperresponsiveness in asthma. Clinical Reviews in Allergy & Immunology, 27(1), 23-34. Child, N. J. A., Yang, I. A., Pulletz, M. C. K., de Courcy-Golder, K., Andrews, A-L., Pappachan, V. J., & Holloway, J. W. (2003). Polymorphisms in Toll-like receptor 4 and the systemic inflammatory response syndrome. Biochemical Society Transactions, 31(3), 652-653. Holloway, J. W. (2002). In that case. A multi-national pharmaceutical company wishes to recruit some of your patients to a pharmaco-genetic study. Response. New Zealand Bioethics Journal, 3(2), 29-30. Palmer, L. J., Cookson, W. O., Deichmann, K. A., Holloway, J. W., & Laitinen, T. (2001). Single region linkage analyses of asthma: description of data sets. Genetic Epidemiology, 21(Supp 1), 9-15. Holloway, J. W., Ye, S., & Day, I. N. (2000). Tools for molecular genetic epidemiology: a comparison of MADGE methodology with other systems. Biotechnology & Genetic Engineering Reviews, 17, 71-88. Erb, K. J., Holloway, J. W., Sobeck, A., Moll, H., & Le Gros, G. (1998). Infection of mice with Mycobacterium bovis-Bacillus Calmette-Guérin (BCG) suppresses allergen-induced airway eosinophilia. Journal of Experimental Medicine, 187(4), 561-569. Rose-Zerilli, M. J., Holgate, S. T., & Holloway, J. (2009). Genetics of asthma and bronchial hyperresponsiveness. In R. Panwankar, S. T. Holgate, & L. J. Rosenwasser (Eds. ), Allergy Frontiers: Epigenetics , Allergens and Risk Factors (pp. 161-188). Tokyo, Japan: Springer. Stevenson, J. E., Sonuga-Barke, E. J. S., McCann, D. C., Grimshaw, K. E. C., Holloway, J., & Warner, J. O. (2007). Genotype moderates the impact of food additives on hyperactive behavior in children. Poster session presented at World Psychiatric Genetics Congress, United States. Holgate, S., Grigg, J., Agius, R., Ashton, J. R., Cullinan, P., Exley, K., ... Goddard, A. (2016). Every breath we take: The lifelong impact of air pollution, Report of a working party. London, GB: Royal College of Physicians.